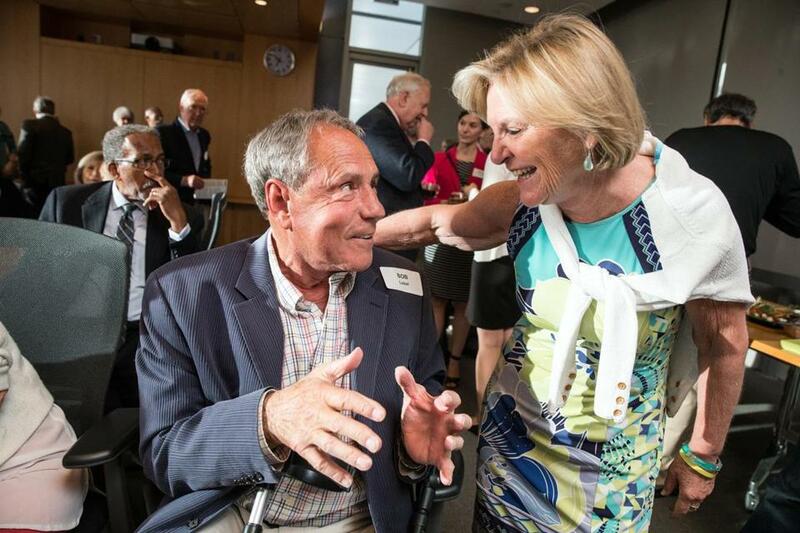 Bob Lobel (left) and WGBH’s Emily Rooney during a June 2017 event. Longtime sports broadcaster Bob Lobel will host a new video series and podcast about cannabis. It will be called “Bob Lobel’s New England POTcast,” produced by Hometown Podcasts, which also makes “Bob Ryan’s Boston Podcast.” Bob Snyder, of Hometown Podcasts, said Lobel’s show will have a local focus, and that episodes will begin around July, timed to the opening of marijuana shops in the state. Lobel plans to tape the first episode at the New England Cannabis Convention, which will be at the Hynes Convention Center on March 24 and 25. He’ll record at the event in front of an audience at 1:30 p.m. on March 24, Snyder said. Lobel, who worked for WBZ-TV for almost 30 years, has been vocal about his support for legalized pot over the past few years. In 2016, before the vote on Question 4, he advocated for the legalization of marijuana. Lobel said pot prevented him from getting addicted to opioids when he needed to be treated for pain.